I’m torn. On one hand I like Firefox because of the incredible array of add-ons, especially for developers building web applications. On the other hand I love the performance I get from Safari and with the release of the version 4 public beta many of the new features. As a result I find myself jumping between the two browsers all the time, often keeping both open (one for browsing, one for my current web development project). 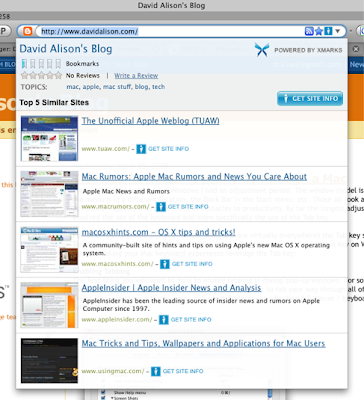 Working between multiple machines on multiple browsers is much easier with a tool like X-Marks. They also support IE so if you have a Windows machine at the office that’s tied to IE and you have a Mac at home you can keep those bookmarks synched up. Now if I could find a free/low cost service that would keep my 1Password data securely synchronized between my machines (and not the Mobile Me service thank you very much), I’d be a very happy camper. Got one that you can recommend? 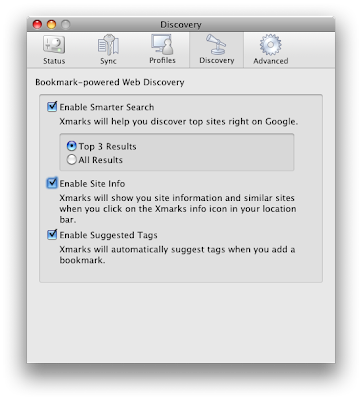 Have a better bookmark synchronization tool? Please drop a note in the comments.